Micromolar (mM) and parts per million (ppm) both measure a solution's concentration. Micromolarity describes the number of particles dissolved in the solution. A 1 mM solution has 6.022 ×10^20 particles dissolved in each liter of solution, which is one thousandth of the concentration of a 1 M solution. 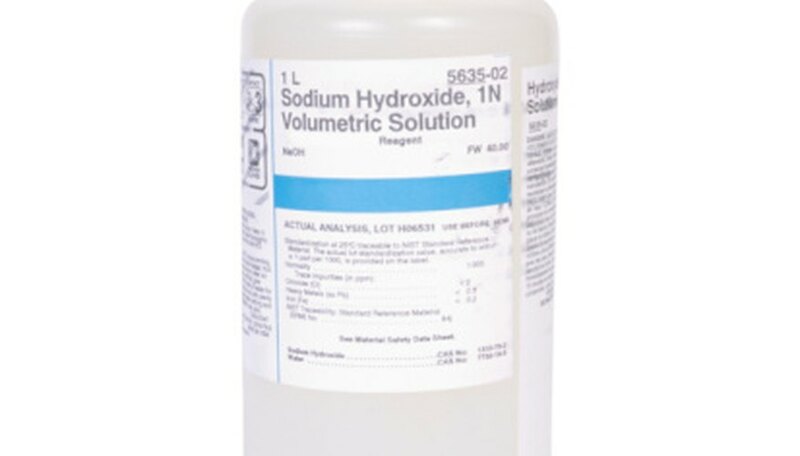 A 1 ppm solution has 1 part of solute dissolved in a million parts of solution by mass. This latter concentration is equivalent to a milligram per liter when the solute is dissolved in water. Identify the atomic weights of each of the elements in the solute's formula. For instance, if you are converting the concentration of sodium hydroxide (Mg(OH2)), magnesium's atomic weight is 24.3, oxygen's is 16 and hydrogen's is 1. Multiply each element's relative atomic weight by the number of its atoms in the solute's chemical formula. With this example, where each molecule of magnesium hydroxide has 1 magnesium atom, 2 oxygen atoms and 2 hydrogen atoms: (1 × 23.4) + (2 × 16) + (2 × 1) = 57.4. This is the solute's relative formula mass. Multiply the solution's concentration, measured in millimolarity, by the solute's RFM. For instance, if the solution has a concentration of 15 mM: 15 × 57.4 = 861. This is the solution's concentration in ppm. For a list of atomic weights, see the first Resource link. Oregon State University: How Much is a Part Per Million? Menezes, Ryan. "How to Convert Micromolar to PPM." Sciencing, https://sciencing.com/how-8518396-convert-micromolar-ppm.html. 07 August 2017.